Hit the surf then cruise through your day. This 6-week course is a great opportunity to meet new friends, build some serious surfing skills and gain experience in different conditions. 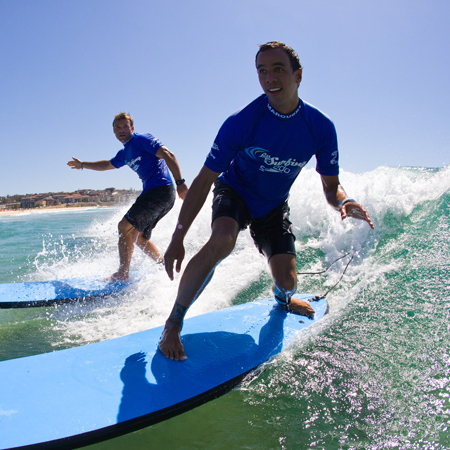 Sessions run 6:30am–7:30am (weekdays) and 7am-8am (Saturdays) over six weeks, which gives you the flexibility to learn to surf before going to work or uni. This course is for people who have had some surfing experience, if you have had no previous experience please do a three lesson package first.